More economically suited for some markets, Low Density PTFE thread seal tape compliments our line of premium Poly-Temp® tapes. Still made with virgin PTFE (Polytetrafluoroethylene), this tape remains flexible, is a thread sealant for all services, chemically inert, non-hardening, and withstands temperature ranges between -400° to 500°F (-240° to 260°C). It is compatible with all pipe materials without exception, forms a permanent seal for the life of the connection, and is recommended for all pipe sizes (larger thread sizes require more wraps). 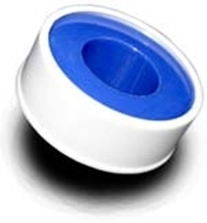 Meets MIL-T-27730A Poly-Temp® Thread Seal Tapes are 100% PTFE from the highest quality resins available. This universal thread sealant can be used on all types of metal or plastic pipe connections and effectively seal a vast array of chemicals.